I’ve neglected Redshirt Diaries for the last month for a whole bunch of reasons, and for the three of you reading I do apologize. I’m going to try and get back in the swing of things again, mostly because I miss being away from Star Trek (side note: in the meantime, I’ve picked up a nasty Doctor Who habit, so my descent into total nerdiness continues). 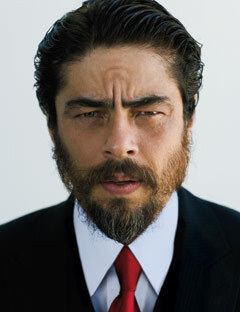 Will Benicio Del Toro Play the Villain in Star Trek 2 (Which Won’t Be Called Star Trek 2)?